The holidays are upon us and it’s time to get shopping for some truly awesome gifts for family and friends! ABCey has some great ideas from local vendors, so you can get your loved ones something unique and help small businesses in the process. Take the pressure off with our specially curated holiday gift guide! This week we are tackling gifts for her. From the tomboy to the girly girl and everything in between, we have gift options for the special lady in your life that are sure to make her cry (tears of joy of course) when she opens these incredible gifts! Give a living gift this Christmas with Botany Decor! 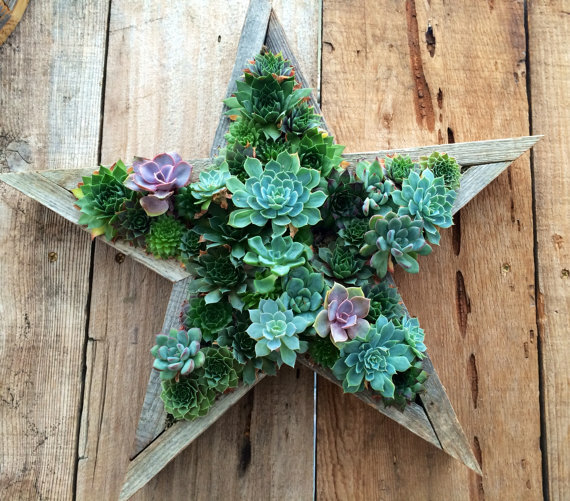 Not your traditional flowers, these meticulously hand picked succulents won’t die out and brighten up any room with their rustic approach to decor. From their wooden designed frames to the hand crafted shape these add something special to any space and are sure to be a present she will love! See the arrangements and order here. There’s a good chance the techie in your family has already got their hands on the latest and greatest tech. 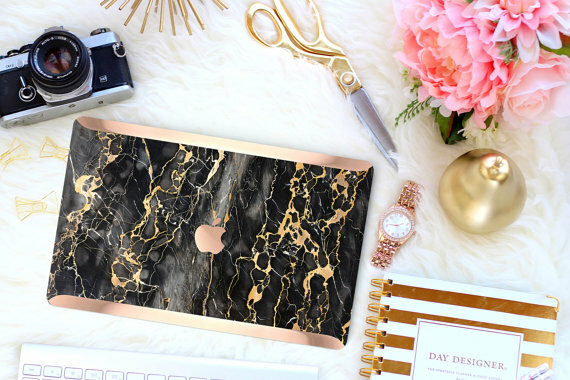 Give her the gift of customization with personalized dock stations, cases, and add on’s to make her valuables look as interesting as what they do. Take a look at Clique Shops device cases ranging in a multitude of colors and finishes that are sure to be a holiday hit! For the constant traveler there is really no place like home. 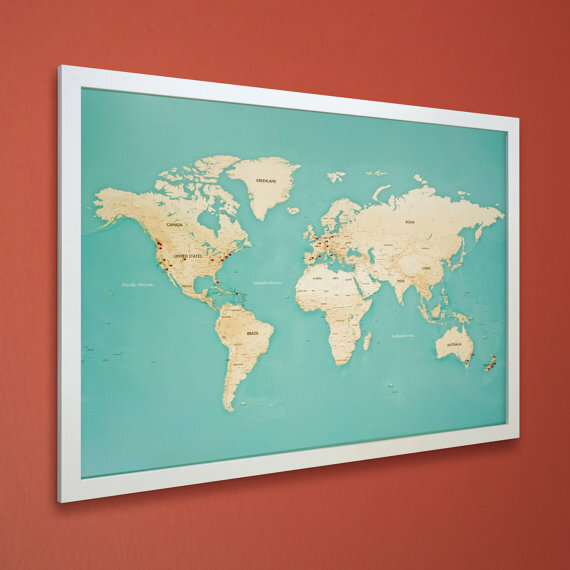 Give her something to remissness with a large travel map she can hang in her room. Map Republic offers large framed vintage maps that will add wander lust to any interior. They even come with push pins so she can mark all the places shes been. Bon Voyage! The elusive foodie has eaten at the best places and is the most knowledgeable when it comes to restaurants. Put their dining skills where their mouth is by helping them create a fantastic dish on their own! 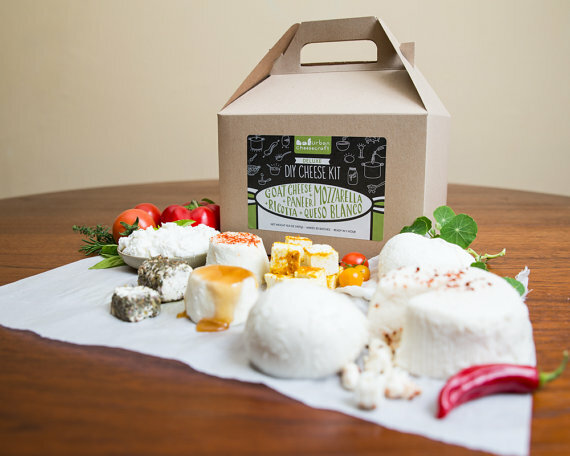 The deluxe DIY cheese making kit by Urban Cheese Craft does this by providing all the essential tools for gourmet cheese making! Bon Apetite. Nothing says Merry Christmas like a little sparkle! Skip the diamonds and go for something urban and trendy like druzy. The raw cut of druzy stone makes for a unique all over sparkle that is featured in a collection of enchanting colors. 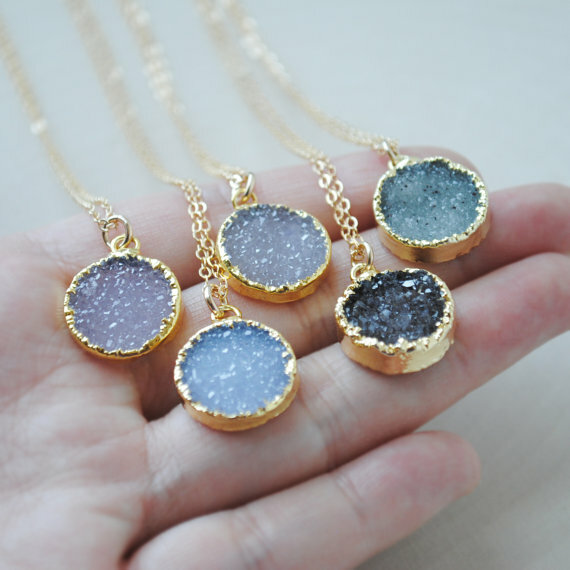 These gold druzy necklaces from Song Yee Designs are so beautiful, she’ll never take them off. Any makeup lover knows the #1 problem they will face is storage and organization! Get her something useful by gifting an acrylic makeup storage box. 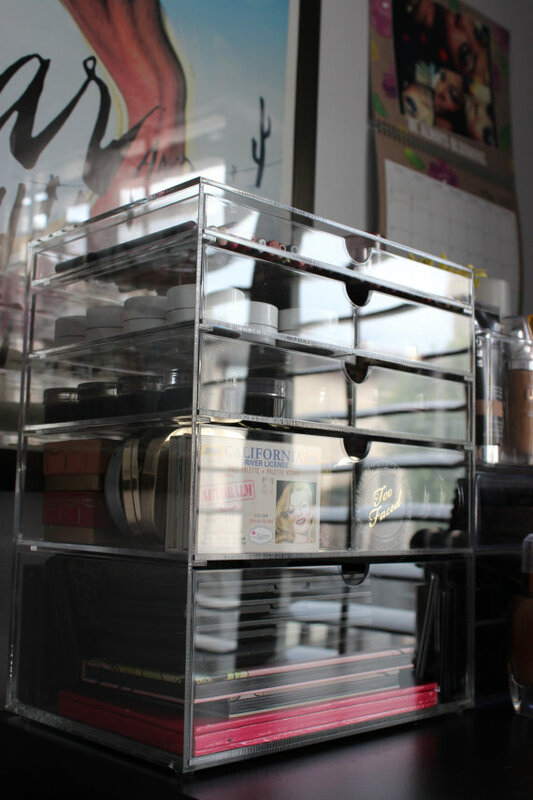 Clear storage boxes, like these 5 tier ones from Glamoure Box, seriously reduce clutter and allow her to see all the tools as shes getting her glam on! Yogi’s everywhere love this season for it’s serene winter setting and the peace that abounds with this holiday. 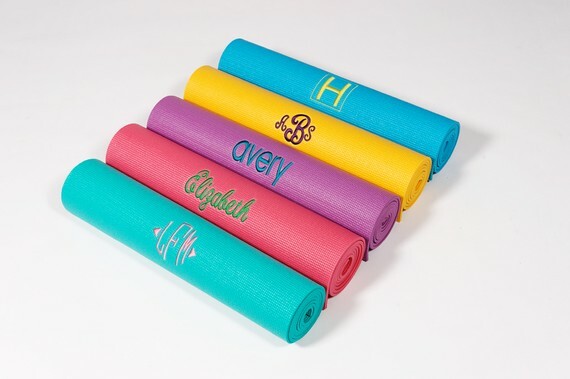 Give her something to make her morning ritual even more special with a customized yoga mat. With My Custom Yoga Mat you can pick her favorite color for the mat and adorn it with her initials to truly give her the gift of serenity. What to give to the hostess with the mostest? Look no further than the tools of the trade. 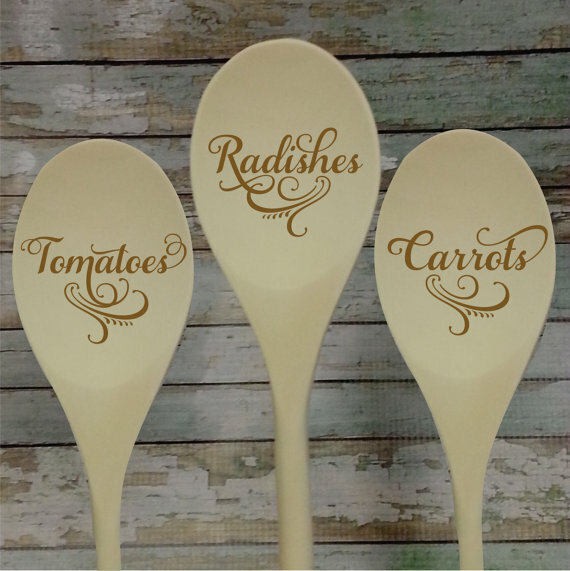 Wooden spoons or wine stoppers from Personalized Gallery let you pick engraved images and words that can leave a lasting impression as well as provide a useful keepsake that makes all the details come together. With so many ideas to give (or receive), what’s on your list this year? Let us know in the comments below of find us on twitter and facebook!